Sylvan Library ($98.98) Price History from major stores - Commanders Arsenal - MTGPrice.com Values for Ebay, Amazon and hobby stores! 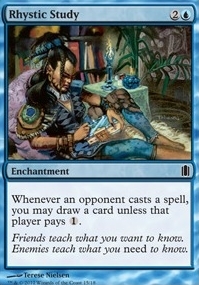 Card Text: At the beginning of your draw step, you may draw two additional cards. 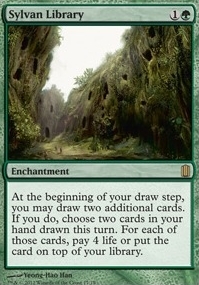 If you do, choose two cards in your hand drawn this turn. For each of those cards, pay 4 life or put the card on top of your library.